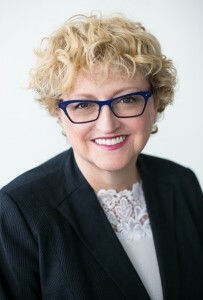 The West Vancouver Chamber of Commerce invites you to attend a special luncheon featuring guest speaker Linda Morris, Senior Vice President of Business Development, Member and Community Engagement at Vancity, Canada’s largest community credit union. Trends like digital disruption, the sharing economy, and access over ownership are impacting the world around us, and businesses need to adapt to stay relevant and successful. You’re invited to hear Linda Morris talk about Vancity’s trend watching practice, current socioeconomic and technology trends, and what global trends mean for local business. As senior vice president of Business Development, Member and Community Engagement at Vancity, Linda is responsible for engaging and growing the credit union’s membership through its member experience, products and services, and commitment to communities. She and her team developed and executed the organization’s “Make Good Money” branding strategy and campaign about values-based banking, which earned Vancity the 2013 Marketer of the Year award from the British Columbia chapter of the American Marketing Association. Under Linda’s leadership, Vancity also developed the industry’s first purpose-built alternative to payday loans. The Vancity Fair & Fast Loan™ reduces costs for borrowers and helps them break the cycle of debt. Previously Linda was the CEO of the Canadian Breast Cancer Foundation, BC/Yukon; prior to this was Deputy Minister in the Public Affairs Bureau for the Government of BC, Vice President, Communications & Community Engagement for Vancouver Coastal Health, and Director of Public Affairs for the Vancouver Port Authority. Linda received her MBA from Royal Roads University, MA in Canadian History from University of Toronto, and BA (Honours) in Canadian History from McGill. She also holds certificates in Executive Management, Public Administration, and Public Relations from U of T, Ryerson and York University respectively.